The first cohort of the OHSU Neuroscience Postbaccalaureate Initiative, from left, Rachel De La Torre, Braim Luciano Vazquez and Katherine Thanyamongkhonsawa. For first-generation college graduate Rachel De La Torre, the benefit is as specific as learning the best way to format her CV. And it’s as broad as getting the mentorship she needs to be a competitive Ph.D. applicant and succeed as a graduate student. De La Torre, who dreams of becoming a neuroscientist, is one of three scholars participating in the OHSU Neuroscience Postbaccalaureate Initiative, a new pilot initiative launched earlier this year by the Department of Behavioral Neuroscience, Vollum Institute and Office of the Senior Vice President for Research to increase the diversity of neuroscience researchers. Overseen by Letisha Wyatt, Ph.D., director of diversity in research, the pilot initiative provides a paid, one-year mentored research and skill-development experience for college graduates from underrepresented backgrounds who are interested in neuroscience-related careers. Though postbacs are relatively common, De La Torre hadn’t heard of such an opportunity until a colleague told her about it. Different from lab technician jobs, postbacs provide paid mentored research experiences designed to expose participants to and prepare them for success in graduate school. “My parents are supportive of me going to graduate school, but they don’t completely understand the trajectory and timeline of how I obtain a job in academia or the biological sciences,” said De La Torre. The extra support and coaching from the postbac, she explains, along with the salary and benefits are crucial. 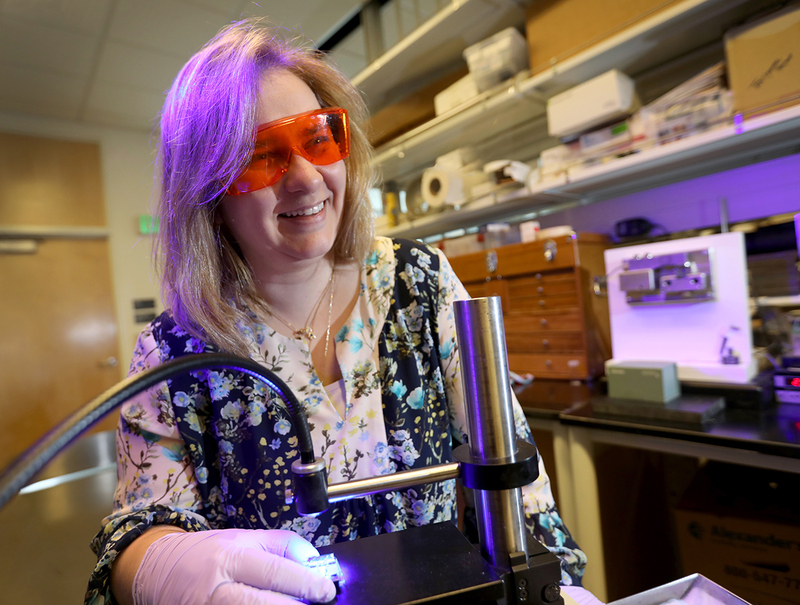 De La Torre’s goal, she says, is to strengthen her neuroscience background while working in the lab of Marc Freeman, Ph.D., Vollum director, and hopefully matriculate into a neuroscience doctoral program next fall. 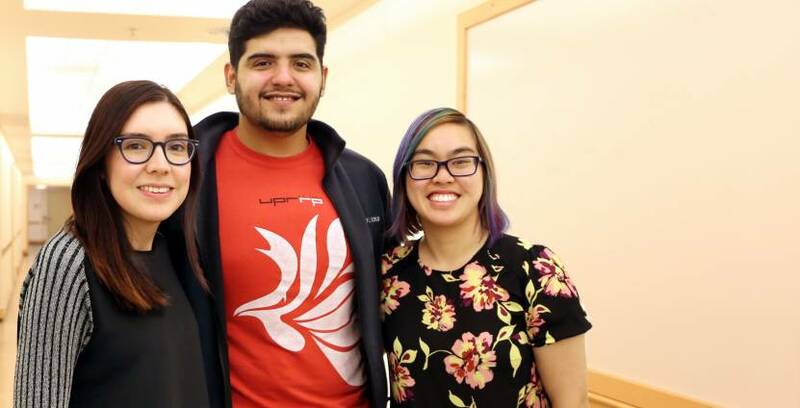 Working closely with Dr. Wyatt, De La Torre and fellow postbaccalaureate scholars Katherine Thanyamongkhonsawa and Braim Luciano Vazquez receive guidance in everything from grad school applications to experimental design. They perform research full-time on specific, mentored projects and meet weekly with Dr. Wyatt for career and professional development. They also participate in journal clubs and seminars and get to know current graduate students in order to develop an understanding of the expectations of graduate school and what it’s like. OHSU joins a handful of other universities such as MIT and Northwestern who offer neuroscience postbacs to those from underrepresented backgrounds. “Providing real-world lab experience for these postbacs strengthens their applications for graduate school and prepares them for graduate school itself,” said Peter Barr-Gillespie, Ph.D., interim OHSU senior vice president for research. “These training programs are absolutely essential for attracting a diverse trainee population,” said Bita Moghaddam, Ph.D., chair and professor of behavioral neuroscience, OHSU School of Medicine. OHSU’s neuroscience postbac got its start when Dr. Wyatt, Gary Westbrook, M.D., Vollum senior scientist and professor of neurology, OHSU School of Medicine, Ph.D. student Antoinette Foster and other faculty and graduate students saw an unmet need for a Ph.D. pathway serving diverse college graduates. They approached the Department of Behavioral Neuroscience, Vollum Institute and Office of the Senior Vice President for Research with a neuroscience proposal, and the three units agreed to fund it. Thanks to the collaborative effort, the university is in a good position to apply for an NIH grant early next year to expand the postbac with additional slots and scientific disciplines, and perhaps, create a direct link to OHSU graduate programs with a guaranteed admissions interview for all participants.